Very happy with the service you provided . Our Customer Service team is dedicated to providing you excellent customer service. 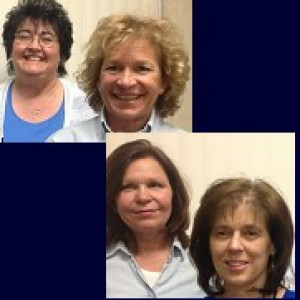 Denise, Kathy and Adele are valuable assets to our company. Their knowledge of the plumbing service industry allows them to assess your service needs and provide you with an estimated cost of your service. Positive, our service man Mike D. Was very knowledgeable and fixed our current problem and also diagnosed a plumbing problem we have had for years that no one else could solve. Will ask for him in the future. The service was quick and reasonable. Jon was very polite and on time. Had three things done at one visit. All things are working great now and even hauled dishwasher and hot water tank with him. Five stars from the help with the appointment to the tech. Will for sure use them again! Quality work and a professional team! I have used A-fordable Plumbing for 2 large projects (Install sump pump and hot water heater) as well as a small project to replace the trip drain in my tub. The customer service is great! All of the projects have been completed quickly, affordable, and the technicians do not leave a mess behind. The work is done in a quality manner. My recent technician Mike (Tech 2-Mike) was friendly and explained the project up front. He was transparent about the cost before beginning the project and delivered. He even took a video so I could see the issue behind the walls and then explained to me what needed to be replaced. Before leaving, he even gave me some useful maintenance tips. I definitely recommend this company for all plumbing & mechanical issues. I had a plumbing company (starts with a N) come to my house to fix a bathroom faucet that had a leak. They told me that I needed a new faucet for my sink. Groche doesn't make brass anymore, so I needed to buy two new faucets to match one another in the Master bathroom. PLUS I had them look under my kitchen sink to see if they could fix the HOT and COLD because the builders set it up the opposite way. They told me that they would need to replace everything and it would be expensive. I got a second opinion. I found A-fordable on yelp. Called them. Mike D fixed everything! THANK YOU SO MUCH! Call A-fordable now! A-fordable was fantastic, first time user new long time customer!! Mike D. is excellent and want him back in the future!!!! Great pricing, great work and service was spectacular! Mike D was excellent suggesting minor additional changes that might reduce chances of future problems. You have been referred to a friend seeking a plumber. Mike D did a great job making need repairs and recommending minor additional working to reduce the chances of future problems. Initial concerns about toilet flange being damage were unfounded. Original plumber Eat trim caps under toilet in original shipping location which interfered with proper installation with toilet. A-fordable referred to neighbor. Great work on time!. Mike D was courteous and affable. Efficiently performed repairs, cleaned up well after the work and then thoroughly reviewed all the plumbing in the house. Made several recommendations for improvements and noted items that we need to keep an eye on. Overall, very professional and great to work with. Customer service was reliable and excellent. Our plumber Jason arrived on time and took care to be tidy and efficient. There was a glitch with the new toilet installation but he came back and took care of it promptly. I would recommend this company to anyone. Mike D. was very professional and knowledgeable. I am extremely satisfied with his service from start to finish. Wonderful plumber. I have used them twice, once for an emergency and once to install a gas dryer. Mike was the guy who came to my house both times and did excellent work in a short period of time, made sure that I understood what he did and most importantly, once he fixed something it has stayed fixed, no need to call A-fordable back a second time. The lady who answers the phone is friendly and knowledgeable. Everything is efficient and I highly, highly recommend them to anyone in the Royal Oak area!